There’s a revolution in education prompted by world economies, technological advancement, and children embracing technology that is transforming how we think about learning. Teachers are embracing technology everyday and are willing to learn how it can facilitate learning in collaborative and creative ways. In addition to these prompts, the Common Core State Standards (CCSS), ​21st Century Learning, College and Career Readiness, new adaptive assessments, and new Career Technical Education Model Standards to name a few are driving education to rethink learning environments and the spaces they occur in. The professional learning leader must respond in like manner to these new drivers and must lead professional learning as a facilitator of learning within redesigned spaces that are supported by physical elements and technology that professional learners can experiment with. 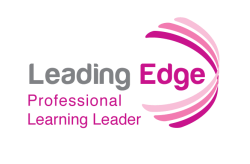 We are well into the 21st century and change is well underway, but what does that mean to you as a professional learning leader? Understanding how teachers must be engaging to produce new ways of learning in innovative spaces is imperative as you lead professional learning for adults. In the video to the left, follow the statistics about changes in our world that demand attention to the role students will have to play as learners and the role teachers will have to play as facilitators. The provision of facts by teachers has become an obsolete skill if the information being taught can simply be found through a touch screen device. If classrooms and teachers are supposed to be different as they respond to the shifts and drivers of today’s education, what must the Professional Learning Leader model for other educators and their constituents? Consider this relationship of “Professional Learning Leader” to “adult learners” as you would the relationship between “teacher” and “students”. Lastly, what are the implications for the school systems of today or for this matter, what are the implications for the design of professional learning spaces today? Throughout the history of education, great thinkers with a pulse on what learning ought to be have expressed their epiphanies to the world. Their words have inspired many educational leaders as well as teachers towards innovation and has caused the world of design to collide with education. Creativity in curriculum, pedagogy, delivery models, technology, and the design of classroom space and furniture has brought attention to the design of schools where form follows function. Read a short excerpt from the Third Teacher, Chapter 2. Jean Piaget, the Swiss developmental psychologist known for his studies with children stated that “ The principal goal of education in the schools should be creating men and women who are capable of doing new things, not simply repeating what other generations have done.” Consider the implications for what learning could be. He is not addressing teaching but rather what the student does to arrive at “doing new things” through learning experiences. Think of a time when you were doing new things. What were you doing? What tools were you using? Where were you? What were the lighting, color, and sound conditions? What was the space like? What made you take the risk to arrive at “doing new things?” Learning experiences require a closer look at conditions that foster learning in low anxiety settings. "subjects should be given equal weight and comparable facilities..."
The rethinking of our school systems and the spaces they occur to cultivate creativity is well attributed to Sir Ken Robinson, author, educator, and speaker. He challenges the historic industrial “manufacturing-like” production of “educated students” because it simply doesn’t work anymore to advance countries. Can creativity be taught by people who are not creative? The answer lies in the understanding of how learning occurs especially in young children and how the process of problem solving is facilitated by the teacher. Tony Wagner, an Expert In Residence at Harvard University’s new Innovation Lab says “knowledge is a commodity and having it is not enough. It is what you can do with it that matters to corporate America and the labor force." Therefore, its about doing. The implications for space will play a vital role depending on the creativity of the learner. As a Professional Learning Leader, consider the learning space in which you provide professional learning and the adult learning strategies utilized. What are the implications for the design of professional learning spaces today if you have participants engage in active learning strategies where they have opportunities to engage in whole class, small group, and individual learning activities?